Flavius Valerius Leo Augustus was Eastern Roman Emperor from 457 to 474. He was a native of Dacia Aureliana near Thrace, which prompted his nickname 'Thrax' - the Thracian. As his 20 year reign indicates, he was a capable ruler and worked tirelessly to aid the struggling western part of the Roman Empire. He is also notable for being the first Emperor to legislate in Greek rather than in Latin. 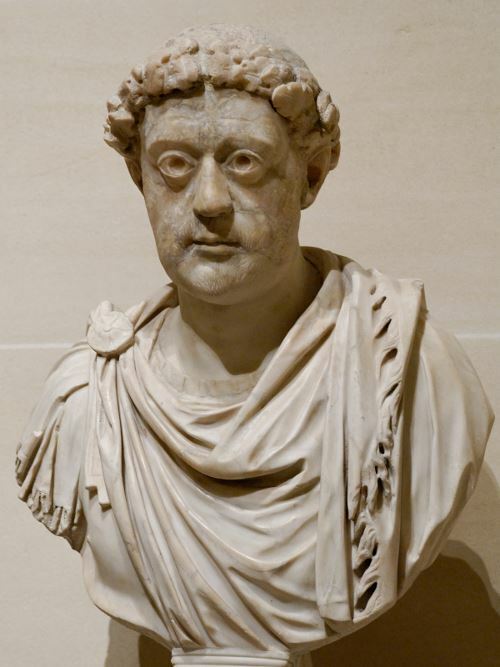 He died of dysentery at the age of 73 on 18 January 474, and was succeeded by his grandson Leo II.